To the mine owner and his workers thanks for the info you gave us and for allowing us to enter the mine on your site we had many hours within the two days of been there (around 10 hrs +) we will not forget this and as we said we will come back as you made us very welcome.....my fiancée is still buzzin after having a go on your big digger......thanks nick n jo. 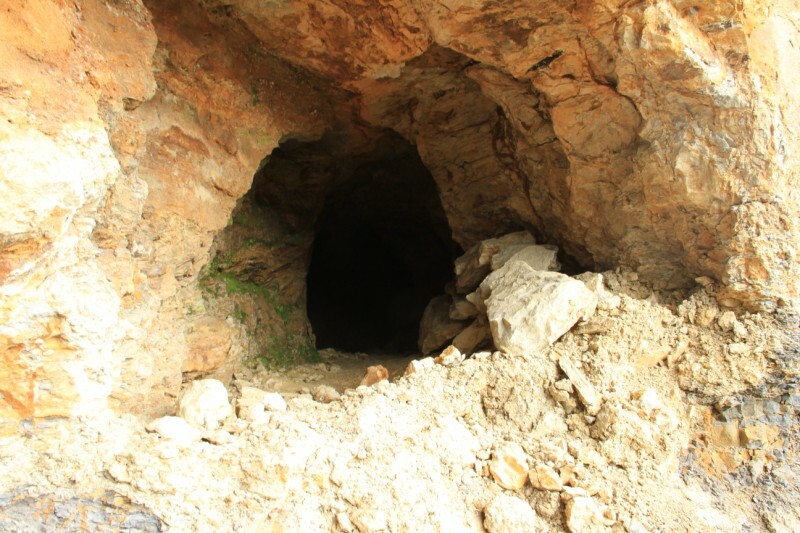 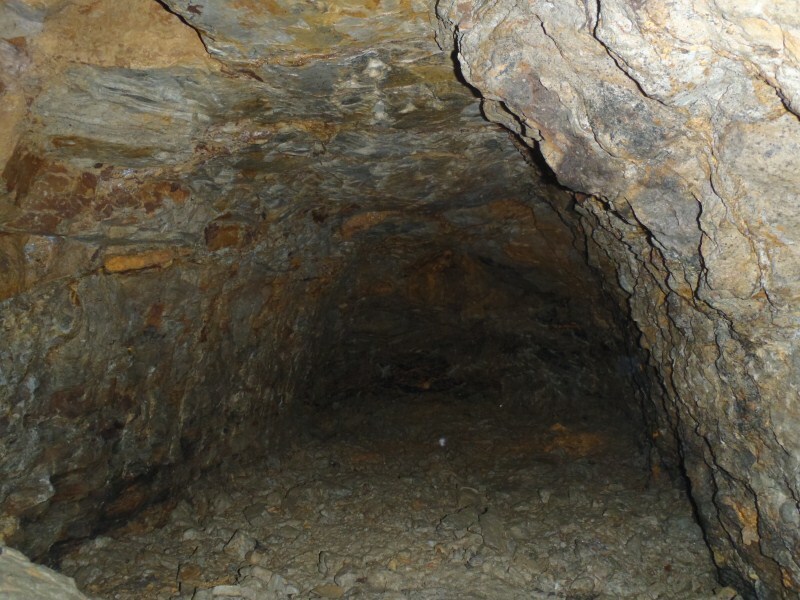 View of the entrance before the hole at the front left of the mine was filled in. 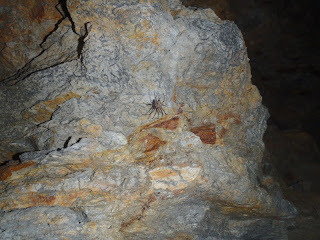 One of the workers from the quarry. Back entrance now closed off by a big boulder. 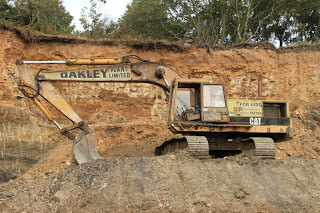 The big digger our lass was allowed to have a go on under instruction. 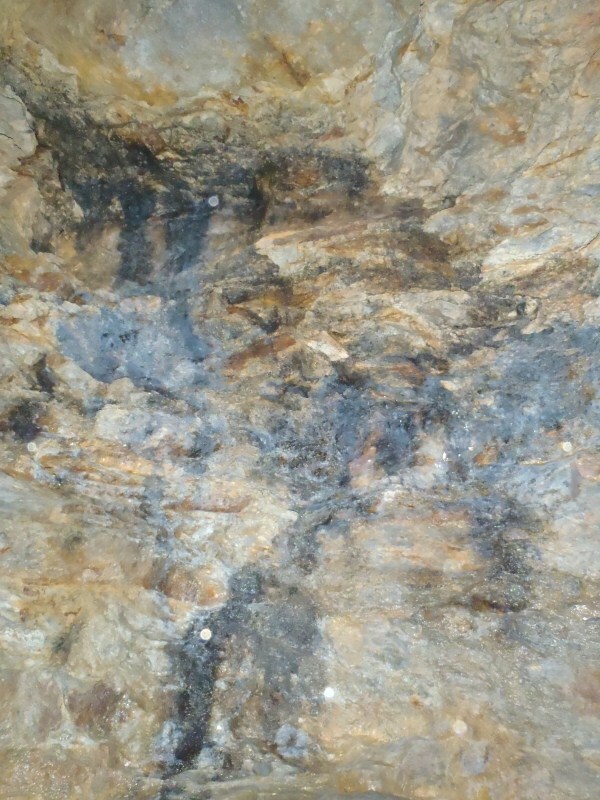 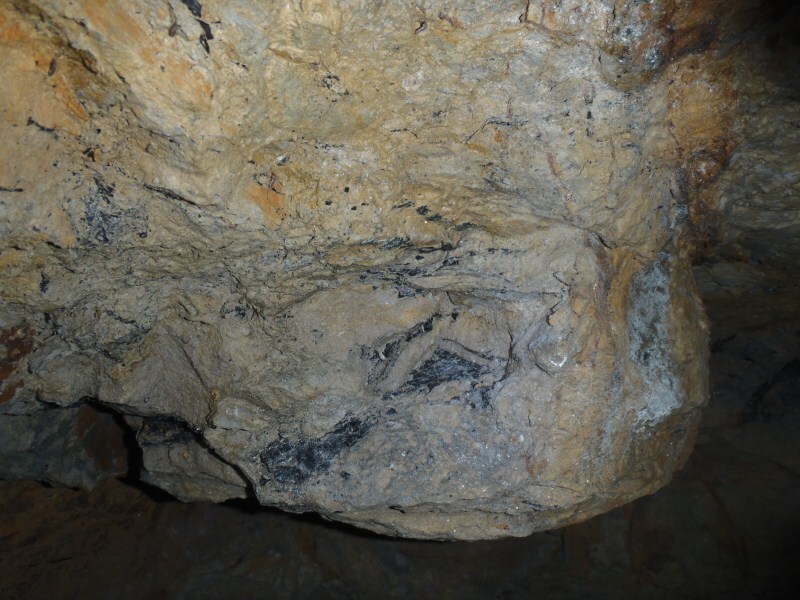 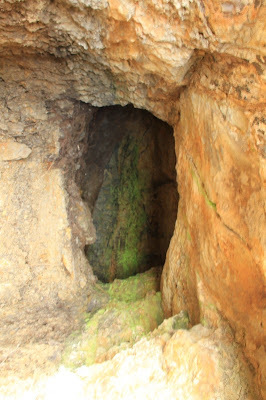 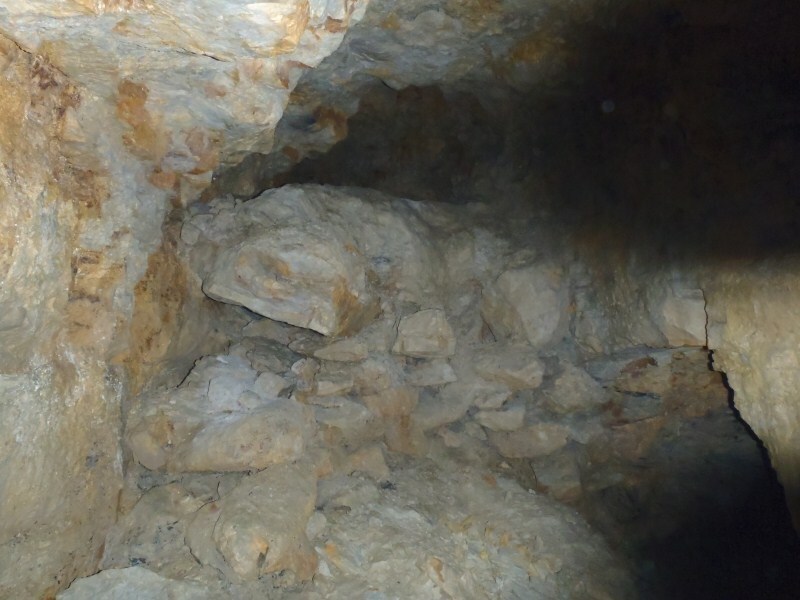 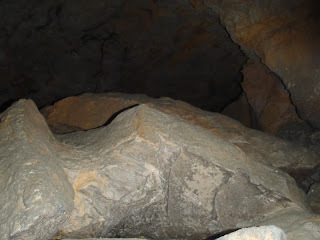 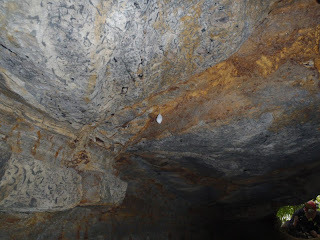 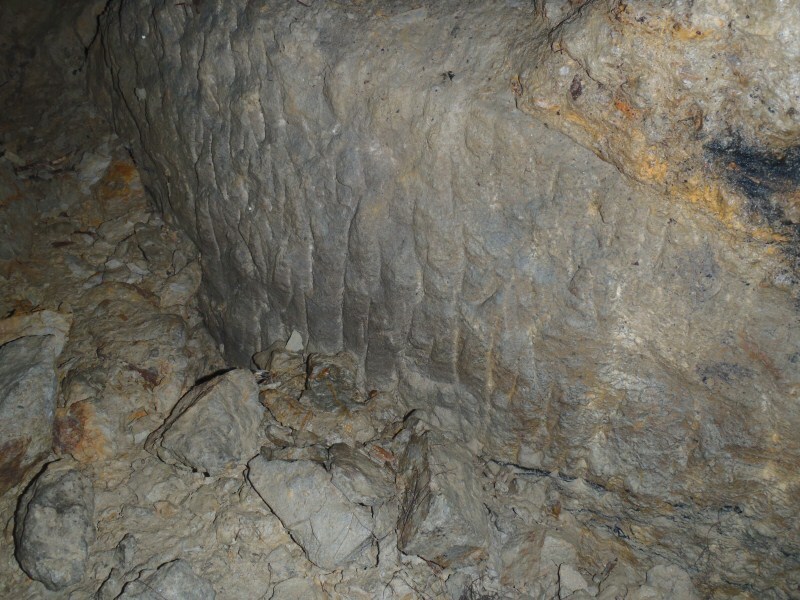 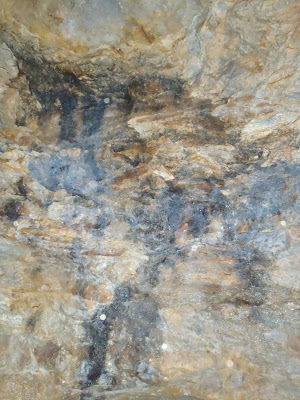 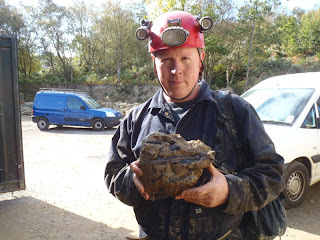 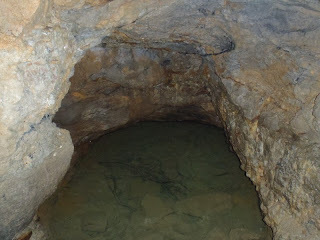 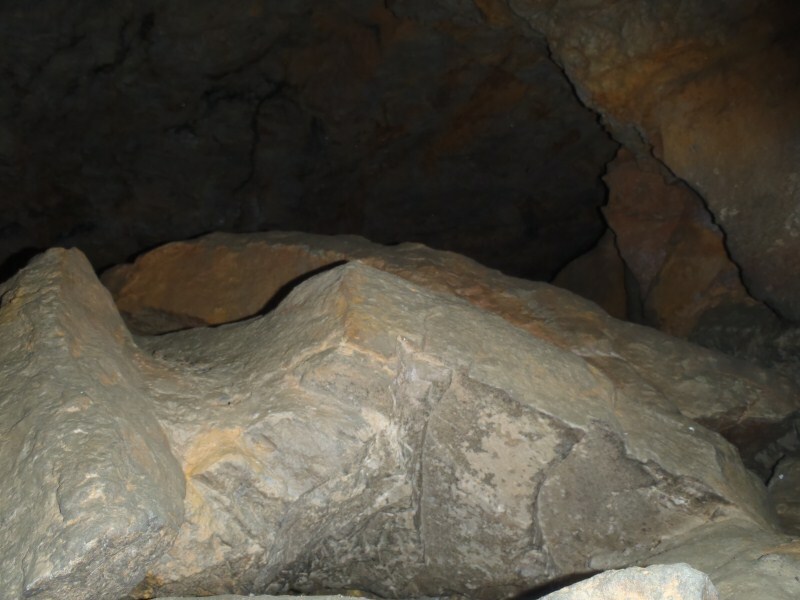 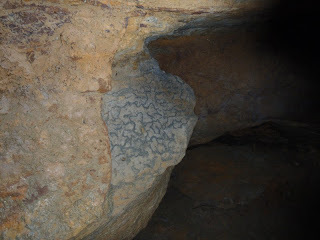 A boulder containing jet mined out from the mine. 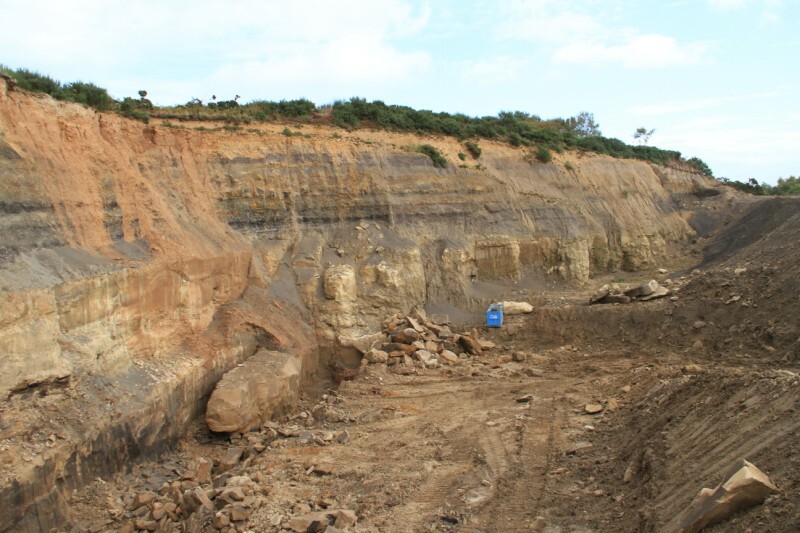 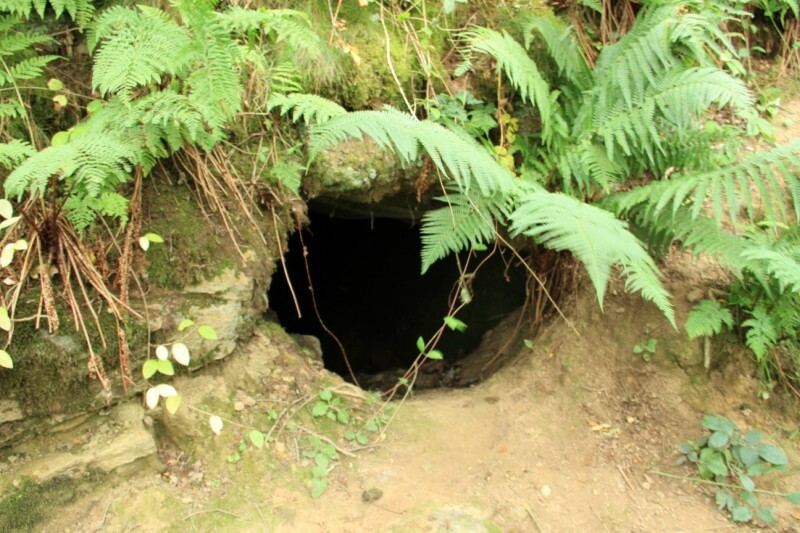 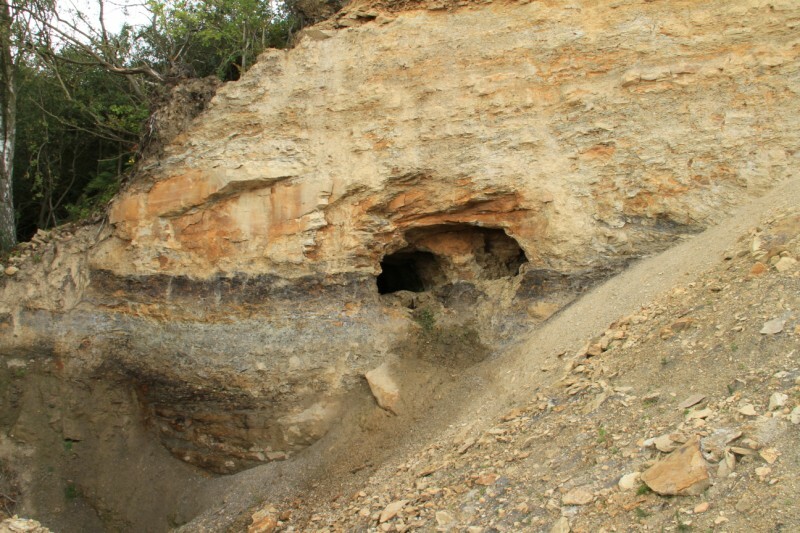 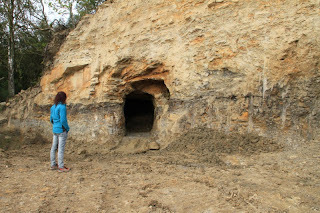 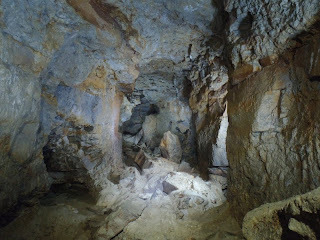 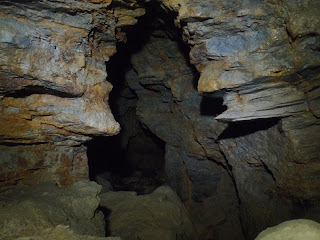 I passed through there last year when i noticed the original entrance had been reopened and have been meaning to talk with the quarry owner about visiting the site officially. 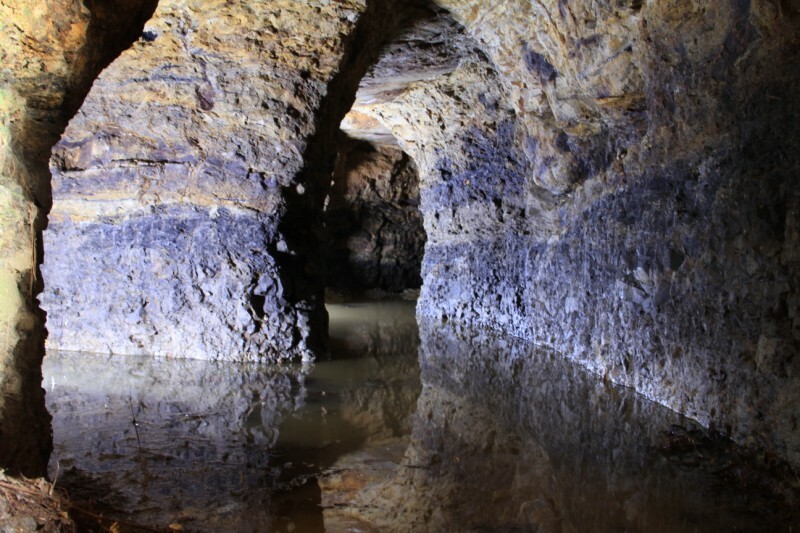 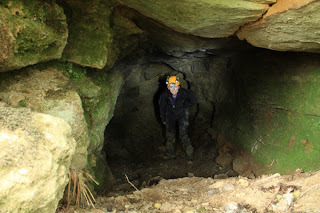 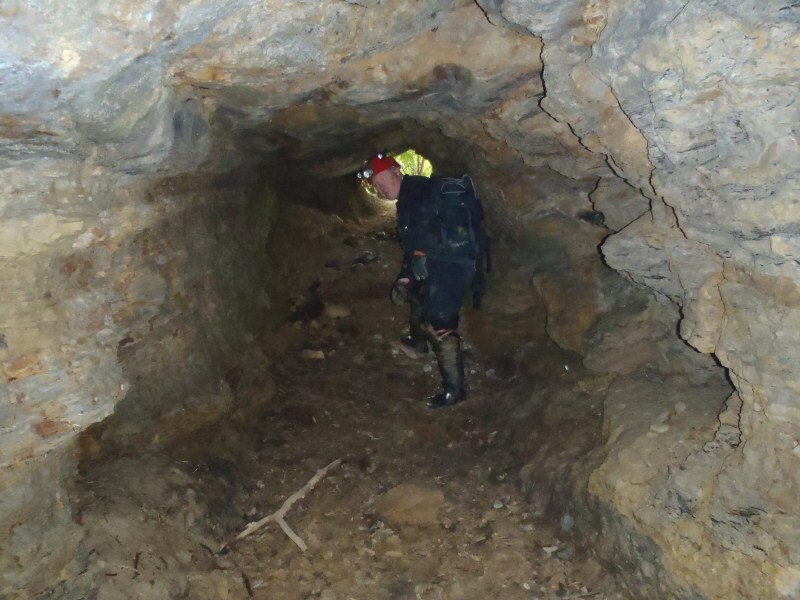 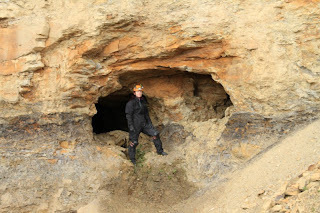 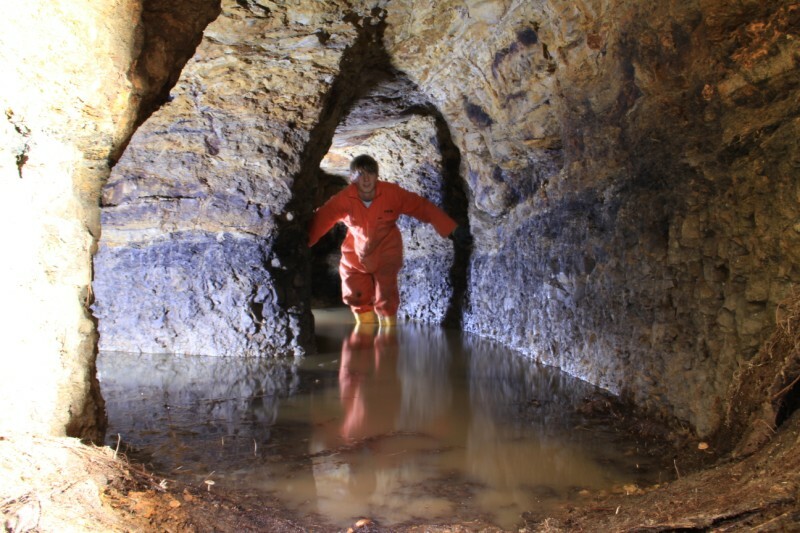 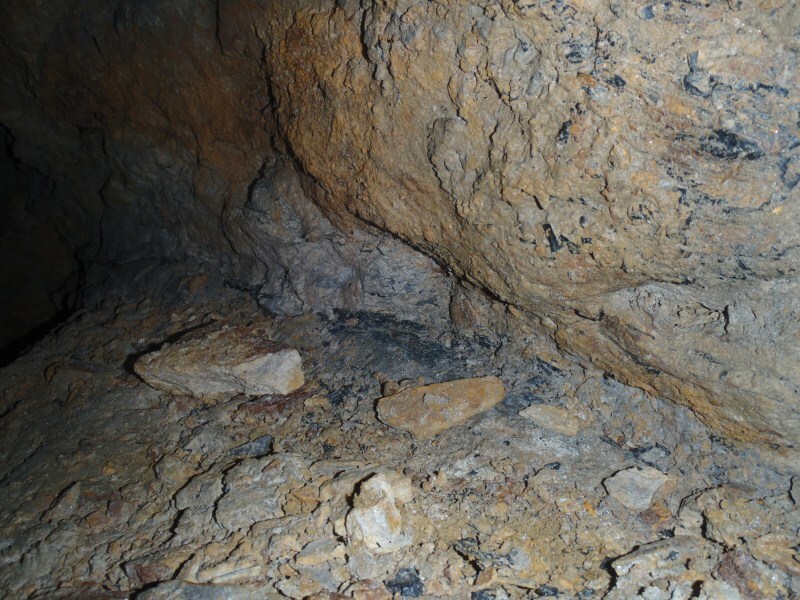 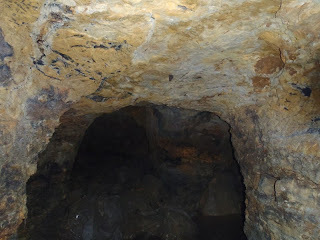 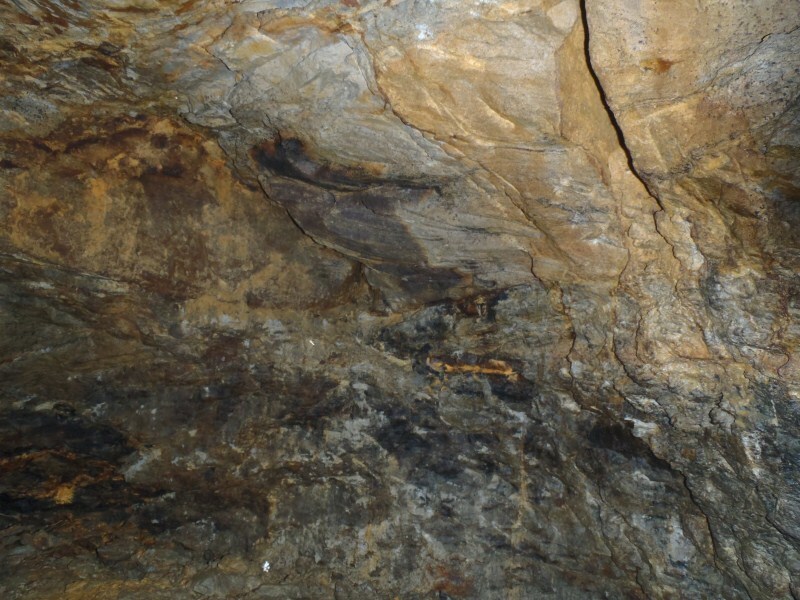 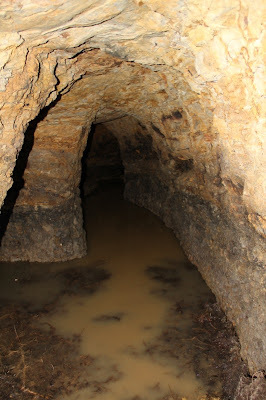 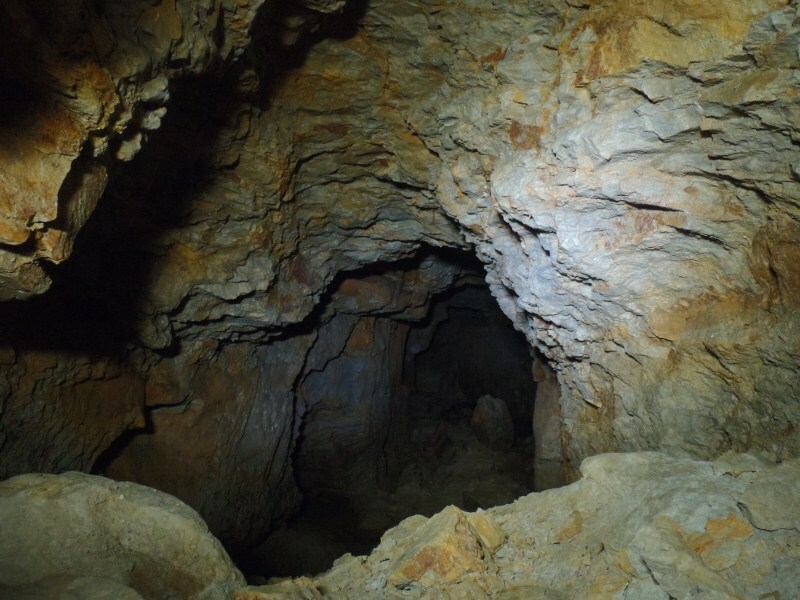 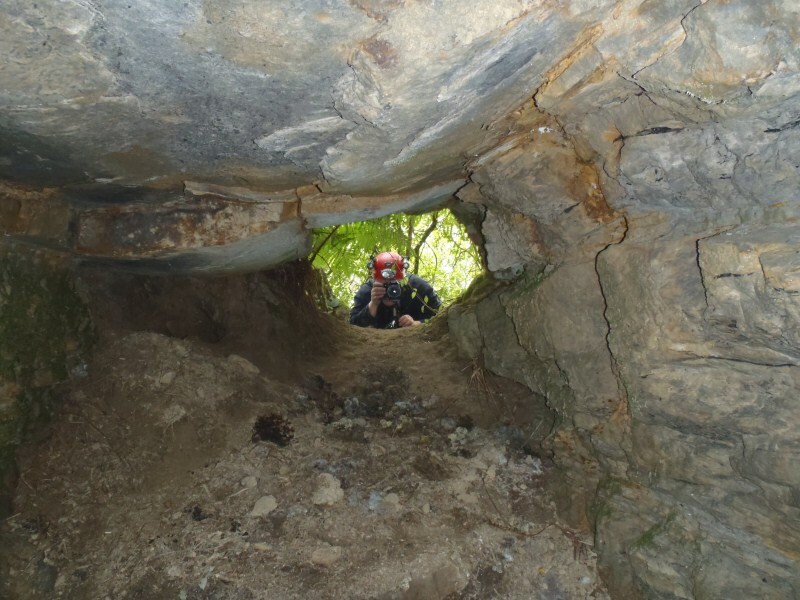 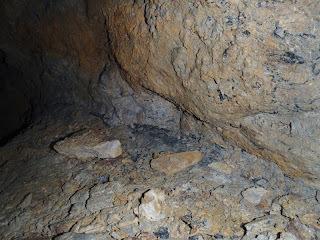 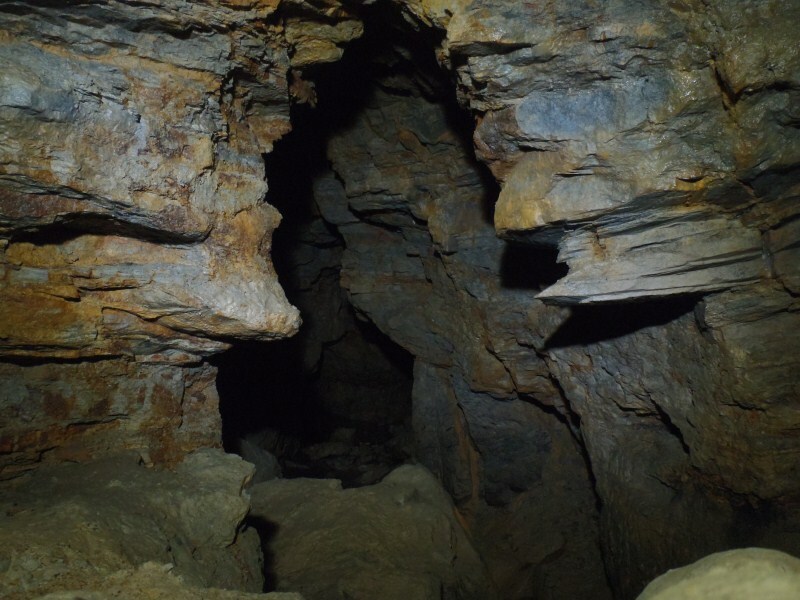 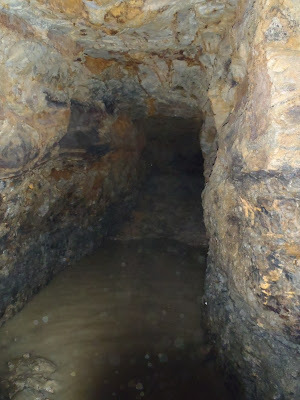 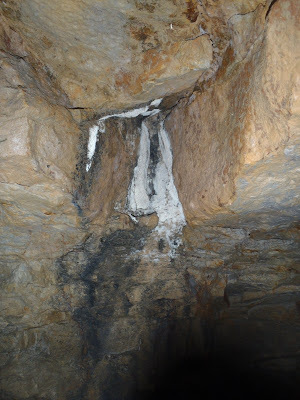 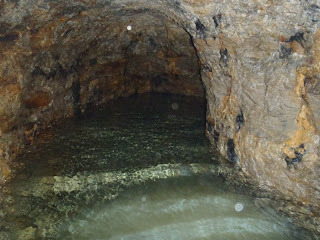 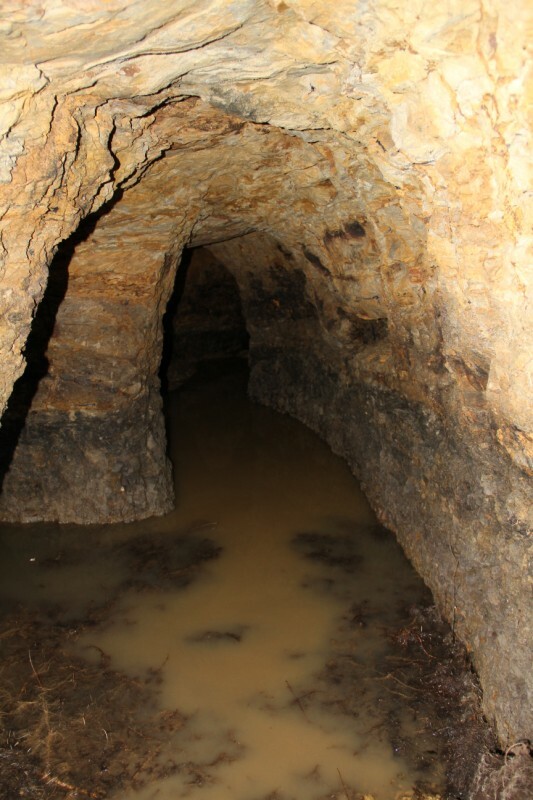 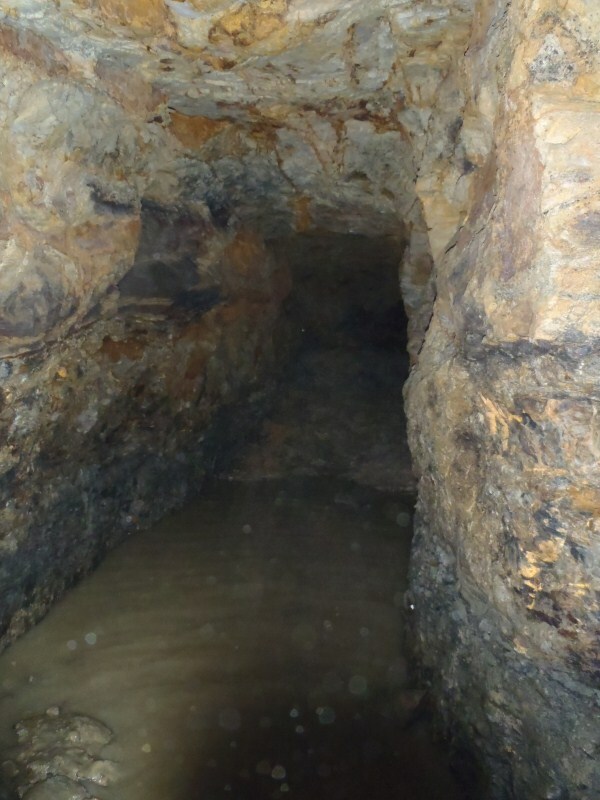 When i last explored the mine in 2008 the only way in was the second entrance (now bouldered) and over half the place was flooded to the roof making exploration impossible (the mine was surveyed around 40 years ago so the original entrance must've been open then). 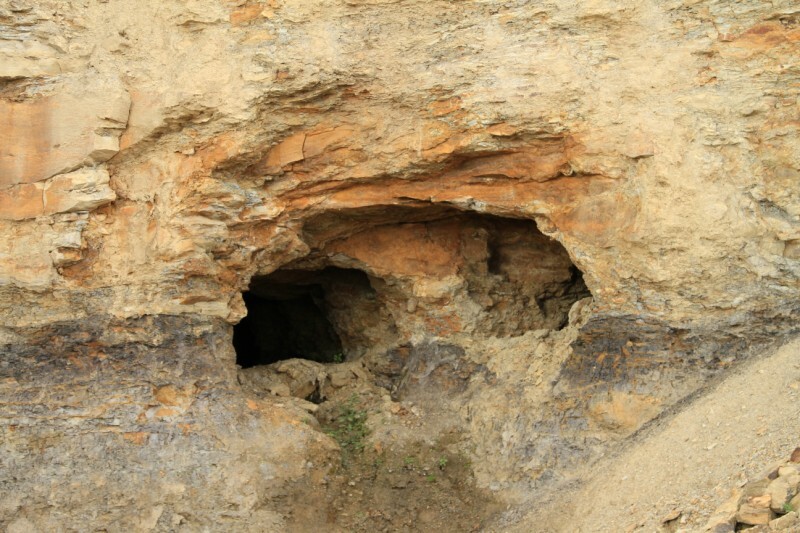 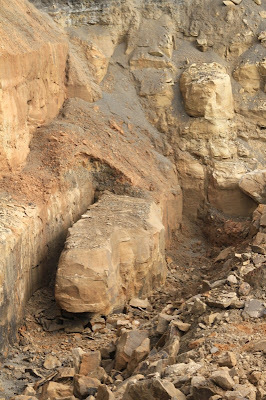 Information on the Aislaby Jet mine is very scarce but its working period was likely between 1830 - 1870 and is one of three mines which worked this poor quality jet in the sandstone deposits, the other two sites are Snotterdale near Carlton Bank and Oakham Woods near Hawsker between Whitby and Scarborough. 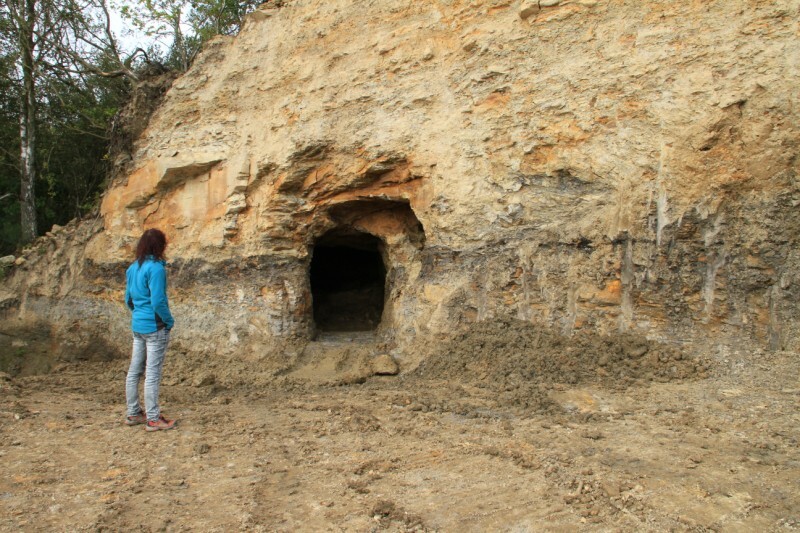 There are serveal open drifts in Oakham woods but they are more of and hands and knee job than this mine. However if you want to visit them some time then i can sort out a trip there. 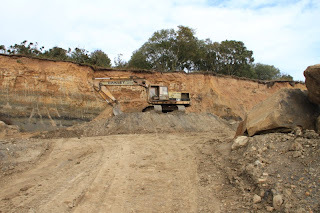 What is the quarry owners plans for the mine, i assumed that the quarry will continue to expand in the mines direction and if that is the case i would love to see more of the mine before its gone.